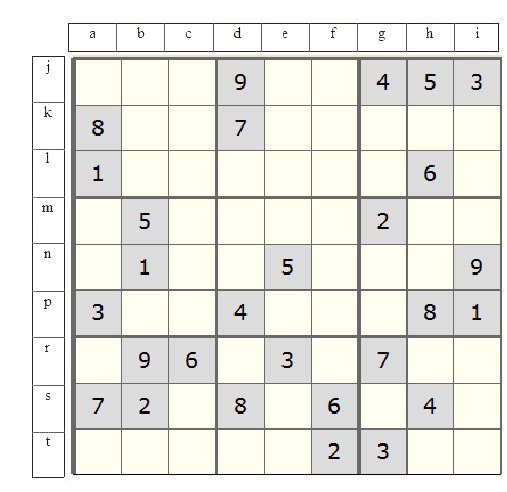 The grid is composed of 81 squares, which is divided into nine blocks, each containing nine squares. The goal: each of the nine blocks has to contain all of the numbers 1 to 9 within its squares; each number can appear only once in a row, column, or box. In addition, each vertical nine-square column, or horizontal nine-square line across, within the larger square, must also contain the numbers 1-9 without repetition or omission. There is only one correct value for (f)(n).